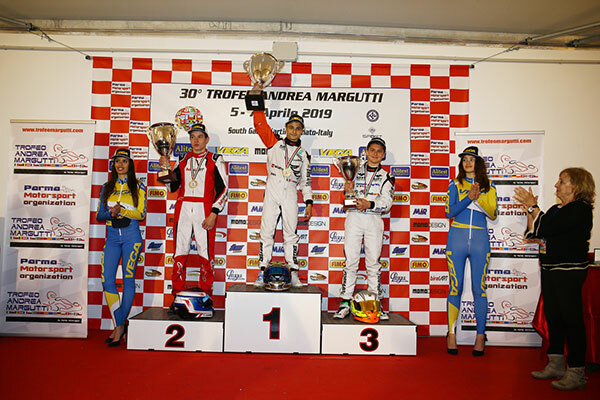 Great races have taken place at the South Garda Karting circuit in Lonato during the 30th edition of the Andrea Margutti Trophy. 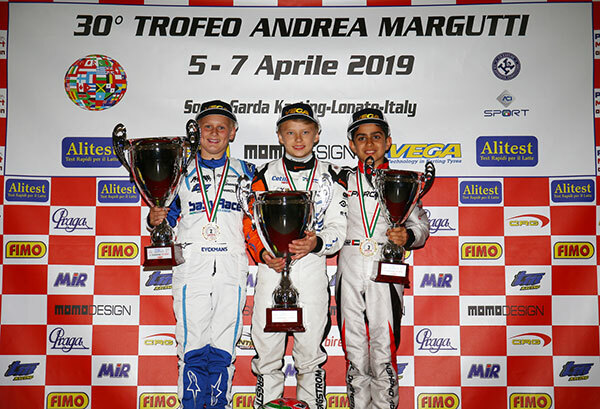 The race enjoyed a perfect organization and a spectacular unfolding with drivers coming from 40 Nations honouring in the best way this event dedicated to the memory of the young promise of karting, the late Andrea Margutti, unfortunately passed away in 1989. The podium has been eventually claimed by those drivers that came to the fore in qualifying of the long weekend that had 237 of the 251 entered drivers on track. The young French Emilien Denner (Sodikart-TM) confirmed his great maturity and speed in KZ2, authoritatively winning the Final and leading another good reality of Italian karting, Giuseppe Palomba (Croc-TM), who claimed an excellent P2. The Italian William Lanzeni (Vemme-TM) also run a great race and his speed earned him P3, confirming that he has what it takes to fight for the top. A top ten finish was also scored by Giuseppe Fusco (BirelArt-Vortex), the French of Sodikart Jean Nomblot, the Croatian Kristijan Habulin (TB Kart-TM) and multiple-champion Davide Forè (TK-Tm), who had to run in recovery mode for the whole weekend as he was last in qualifying due to a technical problem. Marco Valenti (CRG-Tm) was rewarded by a good P8 that places him among the protagonists of this category. He led his expert teammate Benjamin Tornqvist and Leonardo Marseglia, who pulled a great P10 on BirelArt-Tm. Leonardo Bertini Colla claimed his maiden win in OK on KR-Iame run by Team Driver Racing. He had been resolute to take the title since the start of the Final, race in which he has been literally unbeatable. The Dutch David Liwinski (BirelArt-Iame) has been protagonist of qualifying, but eventually had to settle for P2. 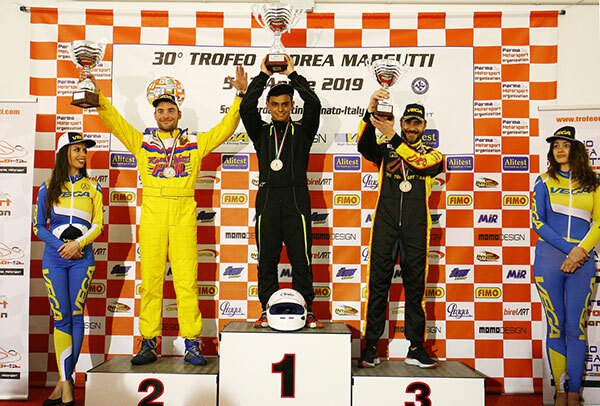 The podium was rounded off by the other Team Driver’s racer Leonardo Fornaroli, who was third leading his Spanish teammate Lorenzo Fluxa Cross (Tony Kart-Iame) and Cristian Comanducci (Tony Kart-Iame). The Swede Theo Wernersson (Kosmic-Tm) of the Finn team Koski Motorsport eventually won the trophy pipping his teammate Samuli Mertsalm, who has been the best in qualifying and at the end of heats. The fourth place went to another very fast driver, the Dane Mickey Magnussen (Tony Kart-Vortex) of RS Competition, who led his fellow countryman and teammate Marcus Skjellerup and their fellow countryman Mathias Bjerre (FA Kart-Tm) of team TK Racing. 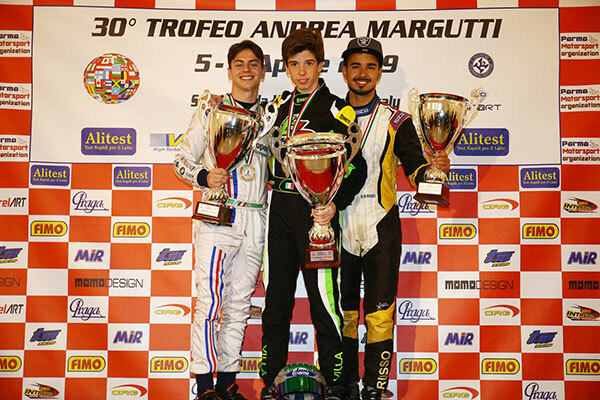 The first of the Italians was Paolo Ferrari (FA Kart-Tm) in sixth for team KGT Racing. Six drivers have been fighting for the victory in 60 Mini until the end. The epilogue at the final corner saw the Swede Joel Bergstrom (Parolin-Tm) of team Driver, who had previously won the Prefinal, finding his way past the Belgian Ean Eyckmans (Parolin-Tm) of team Baby Race. The fight for the win also included the young driver from Abu Dhabi Rashid Al Dhaheri in force at team Ippoliti, the British driver William Macintyre (Parolin-Tm) of team Driver, the Jamaican Alex Powel (Energy-Tm) of team Energy Corse and Flavio Olivieri (KR-Tm) of team Giugliano, who was the first of the Italians at the flag. 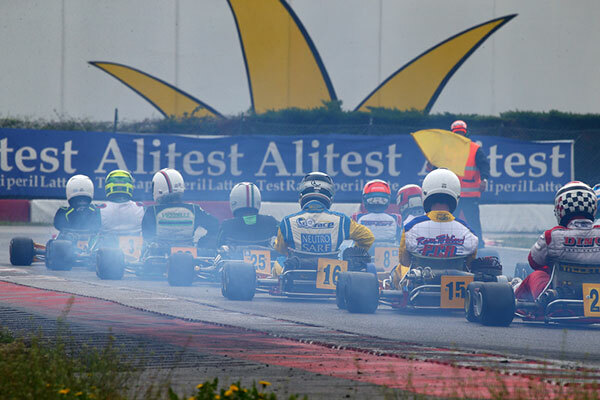 Drivers of category Iame X30 Senior contested the race valid for the Iame Series X30 Trophy. Edoardo Ludovico Villa of team TB Kart won the Final after being the quickest in qualifying, in the heats and in Prefinal. Villa led Danny Carenini (CRG) at the flag, while Leonardo Caglioni (KR) managed to get P3, but he was afterwards relegated to P7 due to the dropped front fairing. 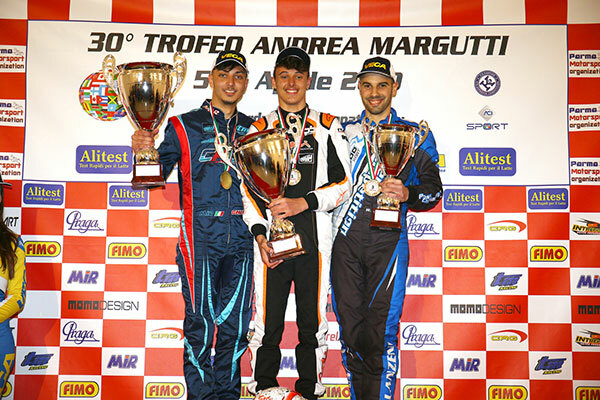 The third step of the podium was therefore inherited by Vittorio Maria Russo (Tony Kart), who won edition 2017 of the Trophy. The fourth place was secured by Federico Albanese (Croc), who proceeded the Spanish driver Alexandre Machado (Tony Kart). Last year’s winner Marco Moretti (KR) had to settle for P6 instead. 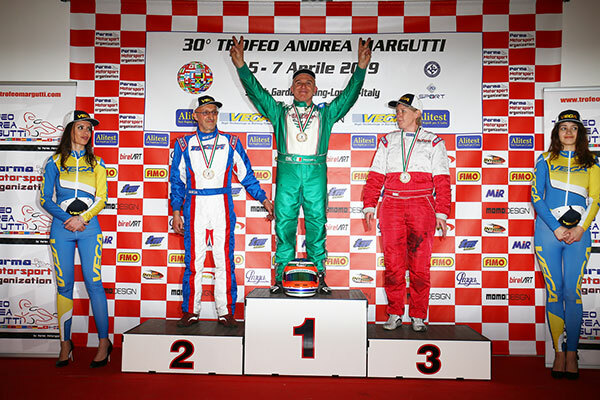 The spectacle in Lonato was completed by the historic karts category promoted by Luca Corberi: KFA of 90s karts that contributed to make this 30th edition of the Andrea Margutti Trophy special. The overall victory went to Matteo Leonardi in Pre-2000, on PCR-Rotax. The victory of class Over 40 went to Alessandro Piccini on Tony Kart-Iame, who led Tino Donadei (Top Kart-Iame) and the Dane Tina Jorgensen (Dino-Dino). In Pre-2000, on the podium alongside the winner Leonardi were the Dane Jonas Willadsen (Pcr-Pcr) and Augusto D’Antinone (CRG-Parilla), respectively in P2 and P3.